The title of this post is the same as that of a half-page article on Page 34 of the Business Section of today’s copy pf The Times. 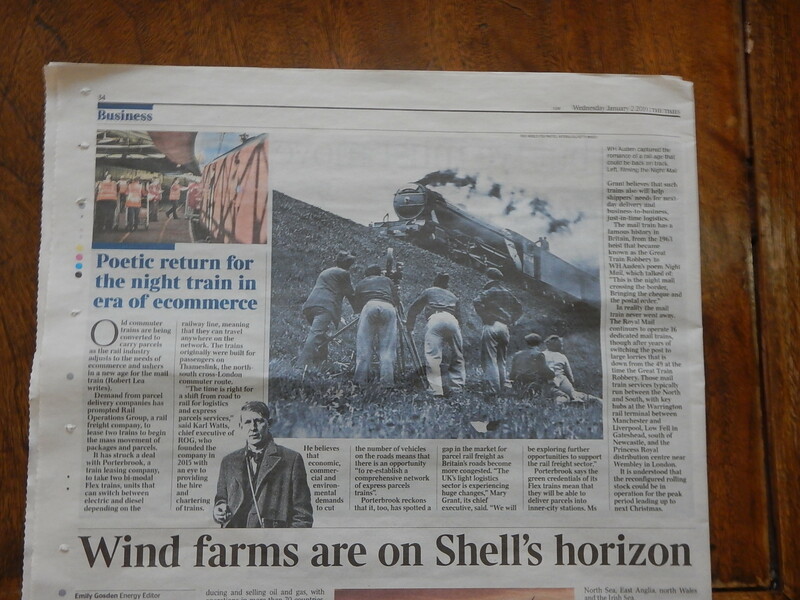 As you can see The Times gave it the full treatment with stills from the classic documentary film; The Night Mail, which has a verse commentary written by W. H. Auden. It’s an idea from the seemingly irrepressible Karl Watts, who is Chief Executive of Rail Operations (UK) Limited. He plans to start test operations with two Class 769 trains leased from Porterbrook. I wrote about this concept two years ago, in The Go-Anywhere Express Parcel And Pallet Carrier (HSPT).